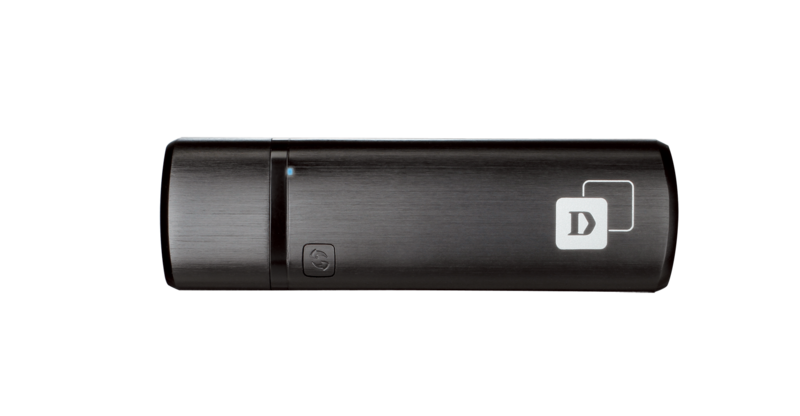 The DWA-182 AC1300 MU-MIMO Wi-Fi USB Adapter delivers powerful wireless AC technology to your desktop or notebook computer. Simply plug the adapter into an available USB port and connect to a wireless network to access a secure, high-speed Internet connection over the 2.4 GHz (400 Mbps) or 5 GHz (up to 867 Mbps) bands1. In addition, with integrated Dual Band technology, you’ll have reduced Wi-Fi interference to maximise throughput for faster streaming, gaming, and VoIP calls. MU-MIMO support allows you to get the most from any Wave 2 Wi-Fi routers, for optimised network efficiency and performance. The DWA-182 AC1300 MU-MIMO Wi-Fi USB Adapter features the updated 802.11ac Wave 2 specification, which improves on the bandwidth and speed of 802.11ac Wave 1. The new and improved specification increases maximum speeds for the 5 GHz band and adds more channels for higher speeds and less RF interference. The DWA-182 AC1300 MU-MIMO Wi-Fi USB Adapter delivers Dual Band MU-MIMO technology to your home network for intelligent, versatile, interference-free bandwidth. Check your email and surf the Internet on the 2.4 GHz band; or play online games, make VoIP calls, and stream HD movies to multiple devices using the cleaner, interference-free 5 GHz band. 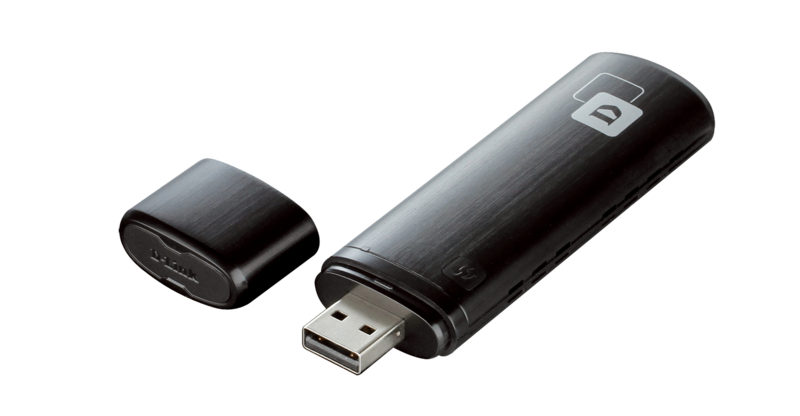 The DWA-182 also supports the high-speed USB 3.0 specification. 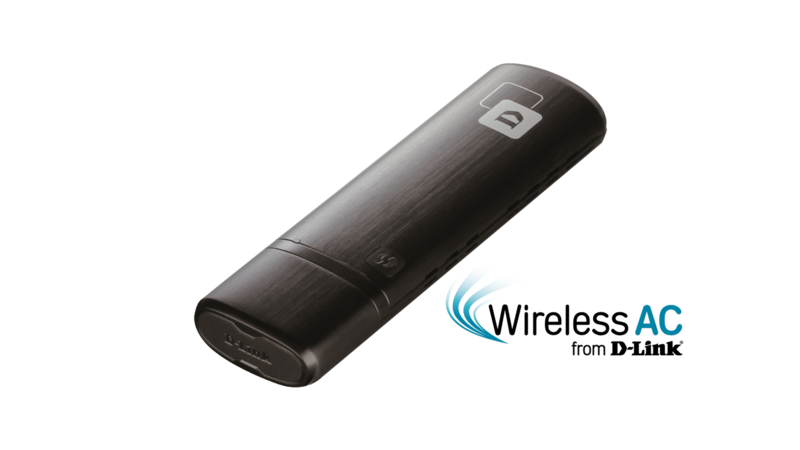 When connected to a compatible USB 3.0 device and using the 5 GHz wireless band, the device will automatically switch to USB 3.0 mode, allowing you to achieve the highest possible data transfer rates and fully utilise the speed benefits of the Wireless AC Wave 2 standard. 1 Maximum wireless signal rate derived from draft IEEE 802.11ac specification and IEEE Standard 802.11n specification. D-Link makes no warranties as to forward compatibility with future standards or compatibility with draft 802.11ac devices from other manufacturers. Actual data throughput will vary. Network conditions and environmental factors, including volume of network traffic, building materials and construction, and network overhead, lower actual data throughput rate. Environmental factors may adversely affect wireless signal range. Up to 867 Mbps wireless speeds achieved when connecting to other 802.11ac devices. Data throughput may also be limited by the product’s interface, less than 480 Mbps for a USB 2.0 interface. The inclusion of a specific product or manufacturer does not imply its endorsement of D-Link or the D-Link product. Computer must adhere to Microsoft’s recommended System Requirements.